President Eisenhower’s Urgent/Important Principle identifies which tasks and activities you should focus on and which you should delegate or ignore. 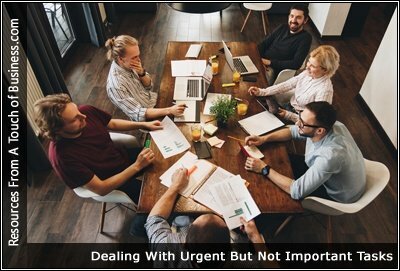 The time management matrix, popularized by Steven Covey, is used for prioritizing projects and tasks to separate the important from the urgent. When it comes to being efficient, Stephen Covey’s time management matrix makes it easy to figure out what you “need” to be doing with your time and attention. Does it sound familiar? You get to work, turn on your computer, and a seemingly endless stream of emails welcomes you. Do you get to the end of the day and feel that you’ve met your most pressing deadlines but haven’t accomplished anything that’s fundamentally important? Time is limited and valuable. Time is our only non-renewable resource we have as an individual so protecting it should be very important to us. I have been talking and mentoring others about protecting our time on important activities over the urgent for a long time. This may be a hard concept to think about but time isn’t going to stop and now is the time to plan the 2018 important items you want to accomplish.